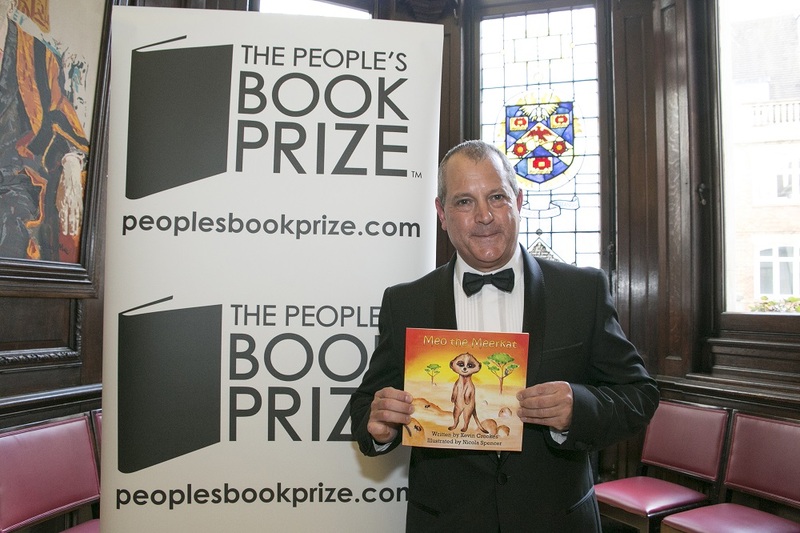 Congratulation to Kevin Crookes, author of Meo The Meerkat, for becoming a finalist at the People’s Book Prize Awards in London May 2017! Out of hundreds of participants Kevin secured third place with his superb children’s book Meo The Meerkat. Blossom Spring Publishing is hugely honoured to be able to bring talented authors into the limelight. Prize Administrator Tatiana Wilson is the founder of The People’s Book Prize. She came up with the idea for The People’s Book Prize as it is her ambition that new authors are given equal opportunity in the marketplace, based purely on their talent and ability. A perfect vehicle to discover writers’ talent voted by the public, raise the profile of libraries and celebrate reading. With the backing of Patron Frederick Forsyth CBE, former RAF pilot and investigative journalist, also a master storyteller, means entering this competition certainly opens doors for newly published authors. Once again congratulations to Kevin Crookes and also to Nicola Spencer for her splendid and very cute illustrations!